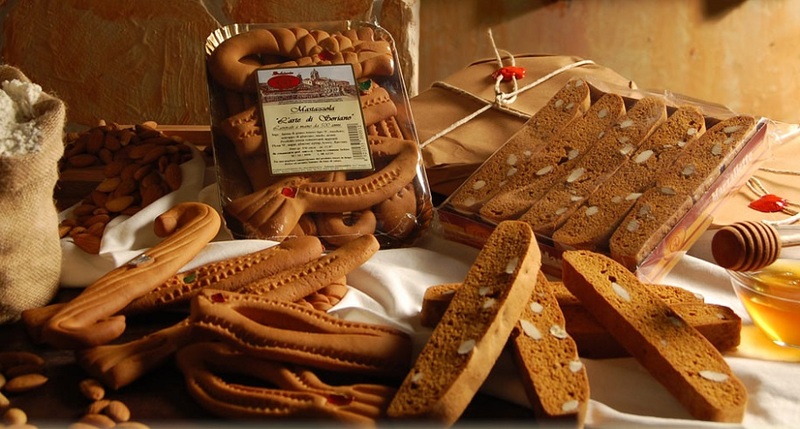 Calabrese confectionery products have ancient tradition, handed down from generation to generation, more then often related to a ritual significance and offered as a greeting representing people's expressions of pure feelings, like cookies in the shape of "horse", "fish", "goat", " rooster" "saints", to symbolize the rural peasant life and respect for nature. Calabrese's traditional sweets are often made using with natural sweeteners such as honey, syrup of figs or mulled wine. Nougat - (Torrone) - What makes the torrone calabrese special and unique are the almonds and honey, processed by hand while maintaining unchanged ancient traditions. 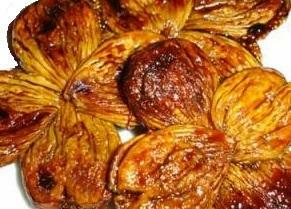 The toasted almonds are cooked for more than six hours with the egg albumen and honey. Subsequently, the crumbly nougat is cut into small strips that are then covered and garnished with white chocolate or dark chocolate or hazelnut or host or hazelnut or orange. 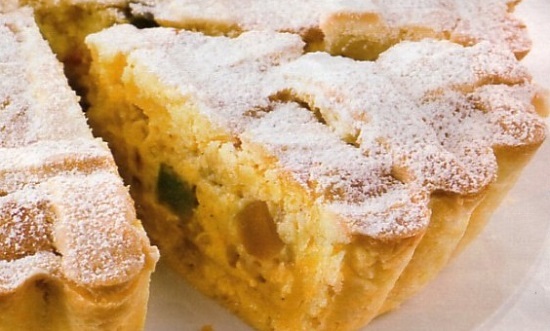 Some traditional desserts of Calabria, not connected with the rural world, testify Arab cultural influences, such as almond paste, used for marzipan candies, or "giurgiulene" small nougat made ​​with honey, almonds, candied orange, pistachio nut or sesame seeds. A long tradition are the sweets prepared for the holidays. 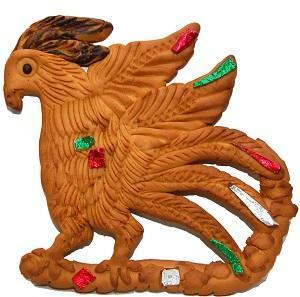 In Calabria the Christmas cakes are countless and even more are the variants of preparation used in various towns. Sweets prepared for Easter in Calabria are also different, even if their varieties are numerically lower than the Christmas cakes. 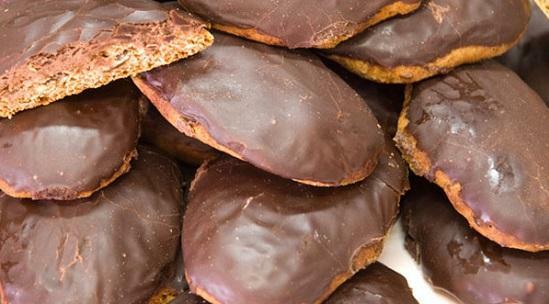 The Calabrese Easter traditions cookies also include chocolate and eggs. Below is a list of sweets most used. 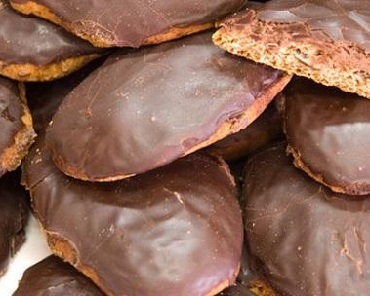 'Pitta mpigliata' (or pitta' nchiusa), sweet originally from San Giovanni in Fiore, but widespread throughout the province of Cosenza. Its origin goes back to the 1700. The cake was prepared mainly for weddings. There are some variations of pitta 'mpigliata in which there are variations on the dried fruit used, on the type of honey used, and some execute the dough with cognac instead of using the vermouth; in each case the sweet always maintains its typical form and is served with a classic pitta shape (ie pizza, flat and round). Mostaccioli (Mostazzoli, 'Nzuddha, Mastazzuolu or Mustazzuali) . The origin of mostaccioli is Greek, "mustacea" is in fact the name by which Theocritus remembers them in his Idylls, are typical sweets from Soriano Calabro, made with natural ingredients, flour, Calabrese honey and mulled wine, they are hard, and come in various shapes, usually decorated with tin foil, consumed at fairs, festivals, Christmas and Easter. Known today throughout the world for their uniqueness and shapes, they were probably introduced in the area by the Dominican Fathers in the 1500's, still prepared by hand as it was done 100's of years ago. Crocette of dried figs (small cross) - Sweet typical of the Cosenza province, the little treats are prepared with cinnamon, sugar, nuts (almonds and sometimes candied orange), coated with chocolate or honey fig wrapped in orange's leafs and then baked. Traditional Christmas cookies in the shape of gnocchi, made of flour, scored on a wicker basket, fried in olive oil and then passed into the boiling mulled wine (wine must). Scaliddre - With a mixture similar to the turdiddri, covered with honey or chocolate frosting. Ciciriati - Cookies from the province of Vibo and Cosenza, whose mixture contains chickpeas (hence the name), coffee, nuts and cocoa. 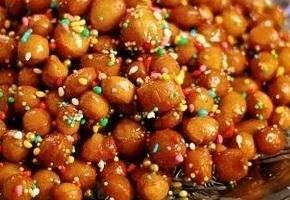 In the local Arbëreshë communities (Albanian) the "cici" are the most common Easter sweets. To please the host, guests should always accept when sweets are offered, here the hospitality is sacred, especially in this period. 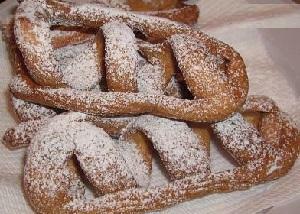 Chiacchiere (Gossips) - Sweets prepared to celebrate Carnival (Mardi-Gras), in the shape of a strip, sometimes modeled in various forms, made ​​with a mixture of flour that is fried or baked, then dusted with powdered sugar. They can also be covered with honey, chocolate and / or sugar, washed down with alkermes (from the arab al-qirmiz) liquors or served with sanguinaccio (chocolate pudding made with pig's blood as a thickener) or mounted with mascarpone and sugar. La Cupeta - The Cupeta - In Roman times it was indicated with the term "cupedia", a paste of nuts and honey, the forerunner of nougat, still known in Calabria as the "cupeta" the traditional nougat sold in stalls during local festivities. The torrone is typical of Montepaone (CZ), made ​​from a blend of ingredients such as sesame, almonds, honey, flour and optionally you can add mulled wine and various other spices to give a more intense flavor. 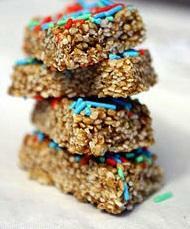 The recipe is a jealously guarded secret by the "masters copetai" and handed down from father to son. The preparation of the cake is laborious but simple in terms of execution. 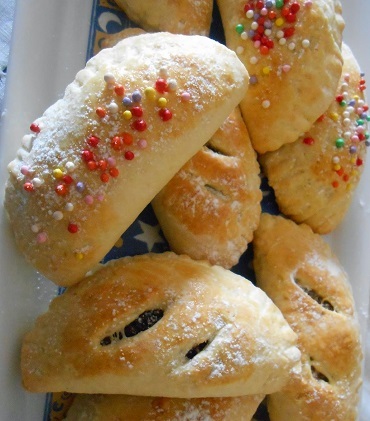 Cuzzupe (cuculi, gute) - Easter sweets typical of the province of Reggio Calabria. 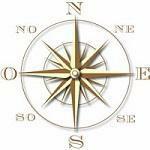 Can take many forms, at the discretion of the person who prepares it. A boiled egg, which is said to bring good luck, is placed at the center of the Cuzzupa. The dough is usually prepared in the early days of Holy week. Main ingredients are: milk, flour, eggs, oil or lard, yeast, sugar. 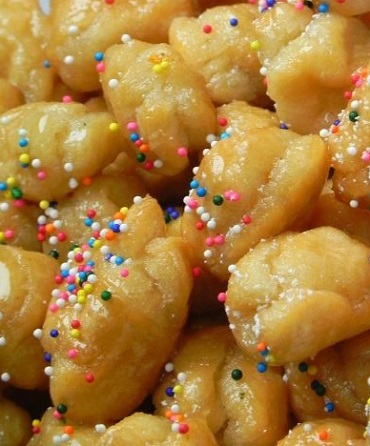 Nacatole : Traditional sweets of ancient origin, of different forms, which are prepared in families and in local bakeries during the Christmas season. Typical in the areas around Locri in the province of Reggio and a few other villages and towns. They are prepared the week before Christmas as a sign of good wishes. They are light brown in color, with a delicate, sweet flavor. The ingredients are: wheat flour ground at the mill water, eggs homemade, local extra virgin olive oil, milk, anise and yeast. Petrali - Biscuits typical of Reggio Calabria. 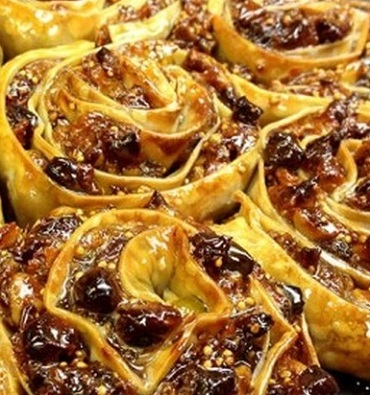 Half moon shaped pastry stuffed with figs, walnuts, almonds, orange peel and tangerine. The exterior is usually garnished with brushed egg yolk and small balls of colored sugar; alternatively can be topped with icing sugar, dark chocolate or white chocolate. These cakes are usually prepared and eaten during the holiday season. Pignolata - Typical sweet Reggio cone-shaped and covered with warmed up honey and is used mainly during the Carnival festivities. The cake is made from balls of fried dough (called just "pine cones") and covered with honey, or lemon frosting ( bergamot is also widely used) and the remaining half of chocolate vanilla icing. 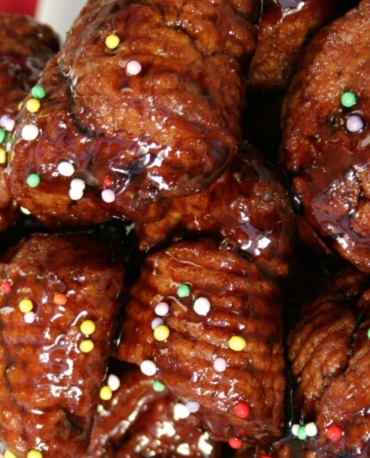 Susamelle or 'nzulle' (above) - Another well known typical Christmas sweet,comes coated with sugar or dark chocolate enriched with raisins, candied fruit, orange peel and cinnamon. 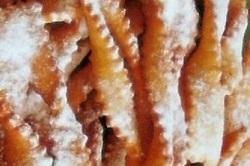 Stomatico - Cookie typical of Reggio Calabria, prepared by a mixture of caramelized sugar, flour, oil, ammonia and spices (usually cloves and cinnamon). 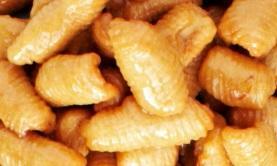 Dite D'Apustuli (Apostee's finger) - sweets in the province of Reggio Calabria, in particular of Bagnara. 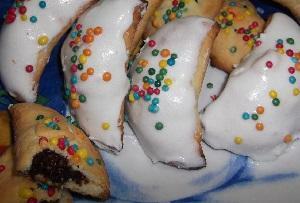 Suspiri ri monache (Sighs of the nun) - Typical at Bagnara, covered with white icing or chocolate. 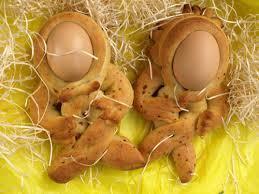 Pastiera - typical from Reggio di Calabria Easter sweet. Pitta di San Martino - Typical sweet of the Province of Reggio Calabria, is a delicate bread dough with fresh fruit and nuts. "The mostaccioli from Soriano Calabro " - Legend says that the secret recipe was given to the people of Soriano by a mysterious monk to thank them for their generosity,.. and who then disappeared in thin air. 1 cup sugar - 2 eggs - 1/2 oz baking powder. 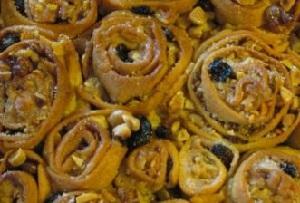 Stuffing: - honey - cinnamon - 3 lemon peels - 2 lbs walnuts - 10 oz raisins. Mix flour, sugar and baking powder and knead slowing adding the water, then the wine a little at a time. Continue to knead adding the eggs, the olive oil (or butter), and keep kneading until the dough is elastic. Allow it to rest a little under a cloth. Prepare the stuffing with crushed walnuts, grated lemon peel, sugar, honey, the raisins that were reconstituted in water, and the cinnamon. In the video they use a pasta machine, but if you don't have one then use a rolling pin to obtain strips of 1/8 in thick dough that's about 4 inches wide. Finish the edges with a rolling pizza cutter to obtain a zig zag edge. Drizzle the honey down the middle of each strip of dough and add the stuffing. Torrone - Ingredients : English subtitles. Cinnamon - lemon peels or tangerine's​. Orange peel - 20 ml seed oil . 30 ml liquor ( Strega - your taste) . Ingredient (enough for seven 'mostaccioli') . Kneaded together to obtain a homogeneous paste which is then molded into many small loaves long and flattened. 500 gr - dried figs - 100 gr walnuts. 100 gr almonds - 50 gr pistachio. half a glass of vermouth.